print and plays in all languages - DEER LORD!  For international tabletop day we’re launching DEER LORD in 6 additional languages in a FREE Print & Play download so you can enjoy DEER LORD in your own weird language! Check out the list below to find out the languages that were translated by our fantastic community. We wish them all the good greeting card quotes and want to thank them from the bottom of our hearts! Want to contribute, edit, correct or start a new translation in your language, please contact us through this form! How do you download the files? Fill out your email address in the language that you want to download. Go to your email inbox and find a mail titled ‘confirm subscription to DEER LORD in weird sounding language’ and HIT subscribe. that was us from the start! Akkerdjie! Note that all these translations were made by fans of DEER LORD who wanted to play the game in their own language. Unfortunately we can not speak 11 languages so we can’t guarantee the quality of these translations. If you want to contribute to the translations by either correcting mistakes, adding to existing translations or starting a new language by yourself, visit our translation page and contact us through the Google Sheet of your language to receive editing rights.